Many economic reports came out today. Some painted good pictures and some painted bad pictures for their respective economies. The economic activities in the two major economies, Germany and France, are not improving tremendously. The EZ’s Flash Manufacturing and Services PMI came in line at 51.0 and 52.3 respectively. Belgian NBB Business Climate was -8.8 below the forecast of -6.1. It is a survey of 6000 businesses and a reading above 0.0 indicates improving conditions, and below 0.0 worsening conditions. 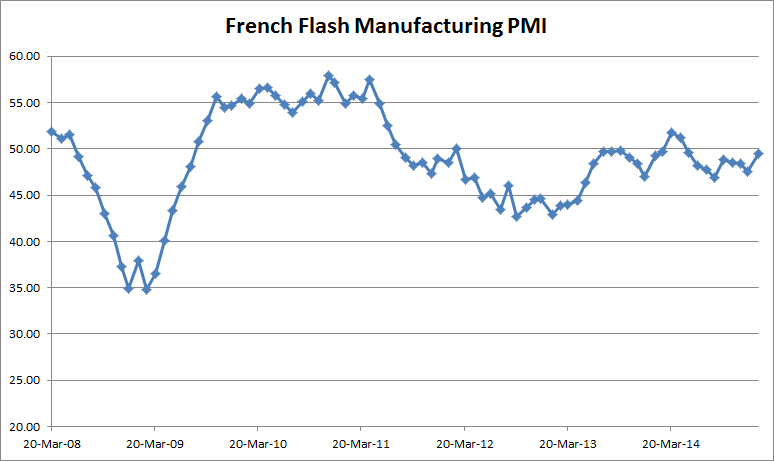 The French Flash Manufacturing PMI came at 49.5, better than the forecast of 48.1 and last month’s reading of 47.5. It improved but still shows contraction, as it is below 50. 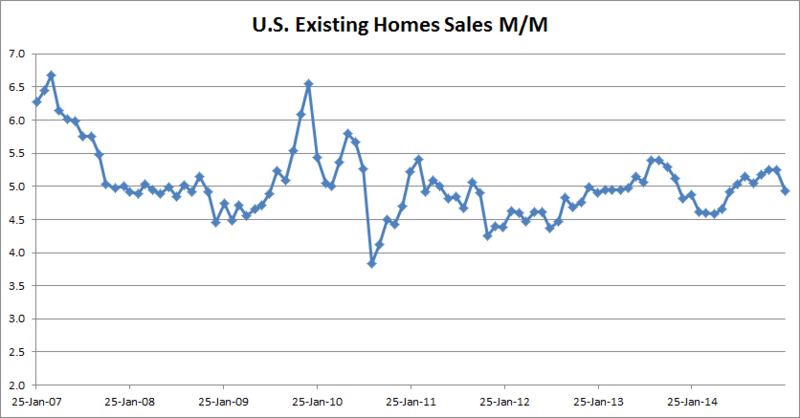 After the steep decline in 2011 and 2012, it has not recovered. 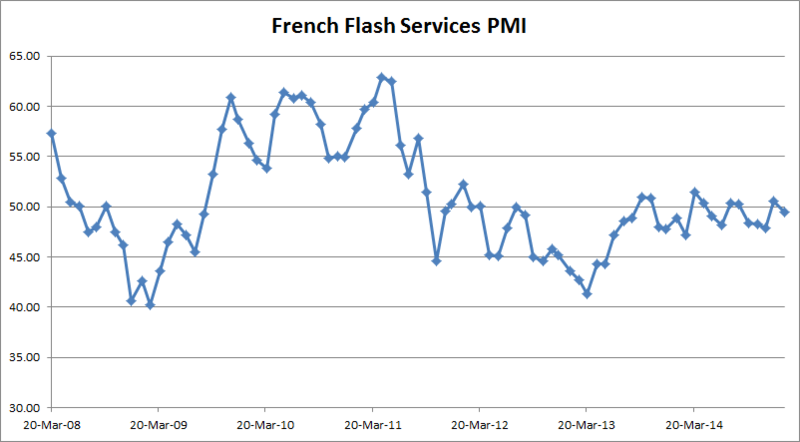 The French Services PMI, at 49.5, was lower than the expectations of 50.9 and last month’s 50.6. 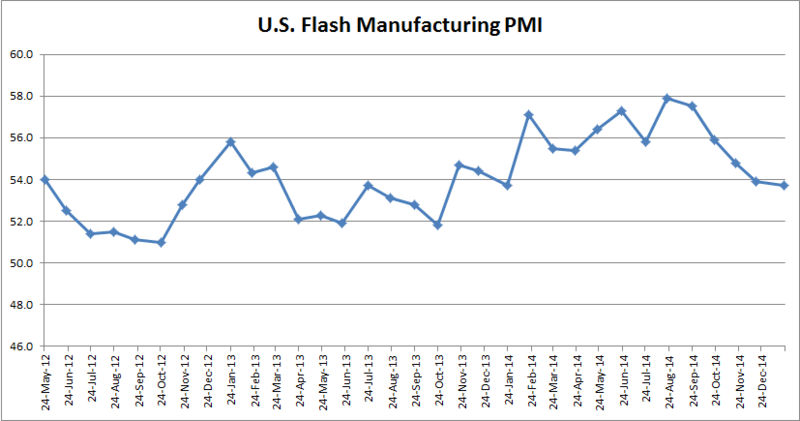 So was the Markit Composite PMI at 49.5 versus 50.1 forecast. 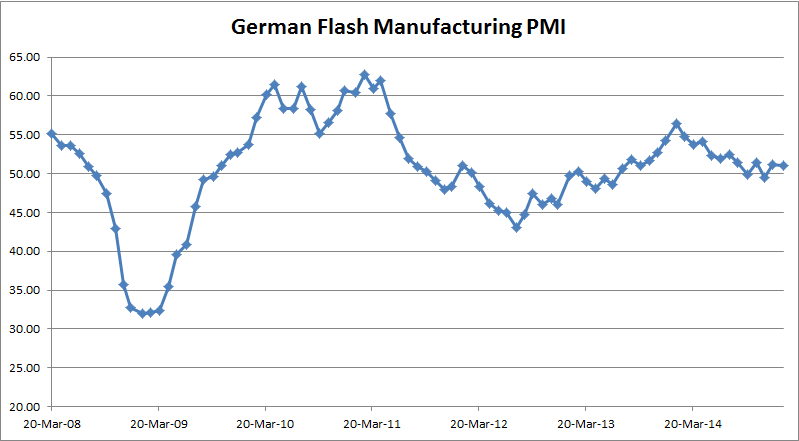 The German PMI’s didn’t do any better. The Manufacturing PMI disappointed at 51.0 versus 51.8, though it shows expansion. 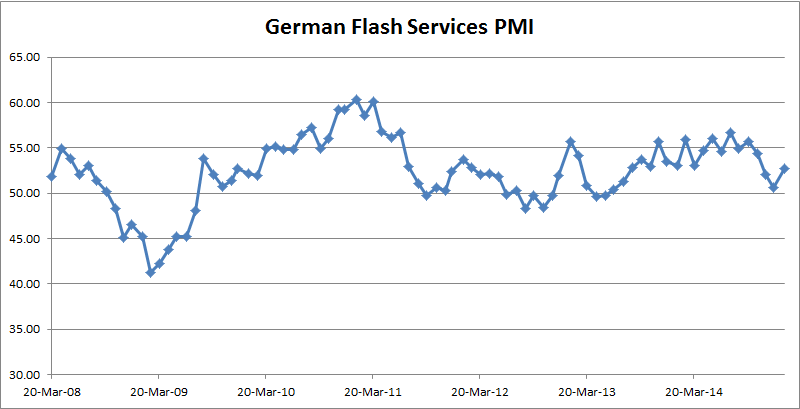 The German Flash Services PMI came inline at 52.3. The German services sector is doing better than the manufacturing. German Composite PMI was 52.2 versus forecast of 51.8. The general thrust of the economic reports was favorable for the British economy and pound sterling. 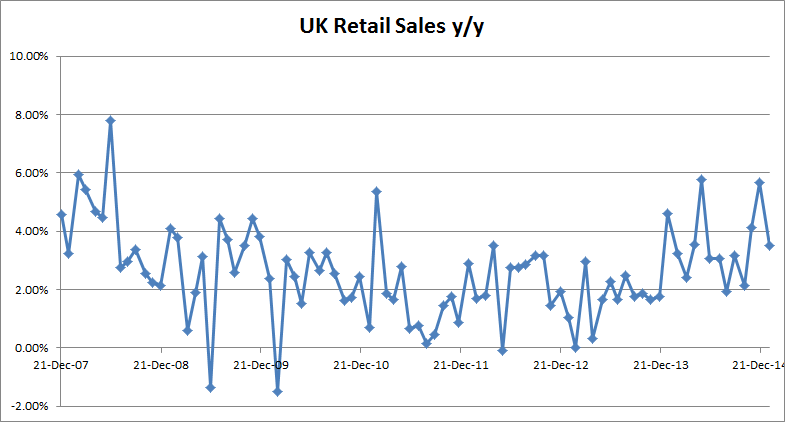 The Retail Sales m/m for December came at +0.4%, which was better than the forecast of -0.6%. 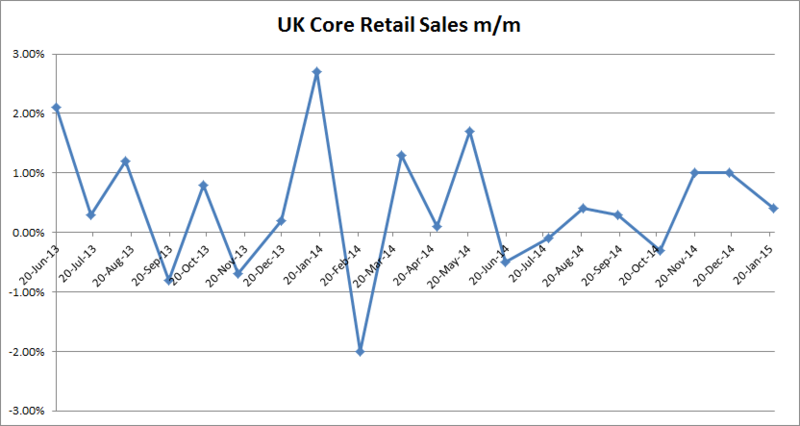 The Core Retail Sales – excluding the volatile Auto and Fuel sales – came at +0.2%, also better than the forecast of -0.7%. 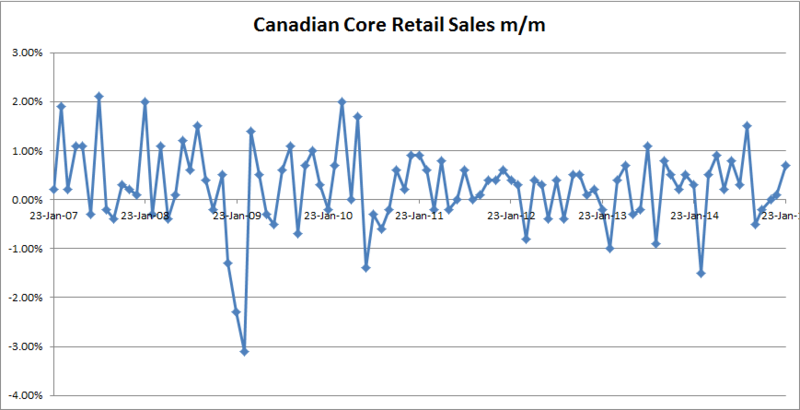 The Year-over-Year Retail Sales as +4.3% and Core Retail Sales was +4.2% the forecast were +3.0% and +3.3% respectively. 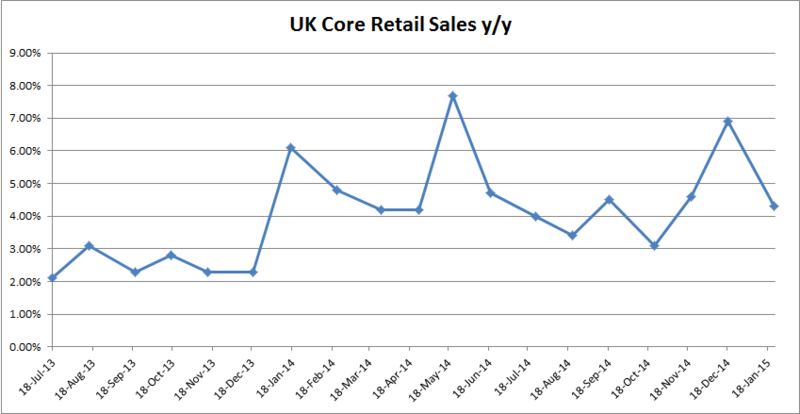 Graphs, on the other hand, do not show a roaring Retail Sales environment. The Bank of Canada unexpectedly cut the interest rate on January 21st, 2015. Today’s CPI report give us some of the reasons behind it. The CPI m/m for December was -0.7%, below the forecast of -0.5%. 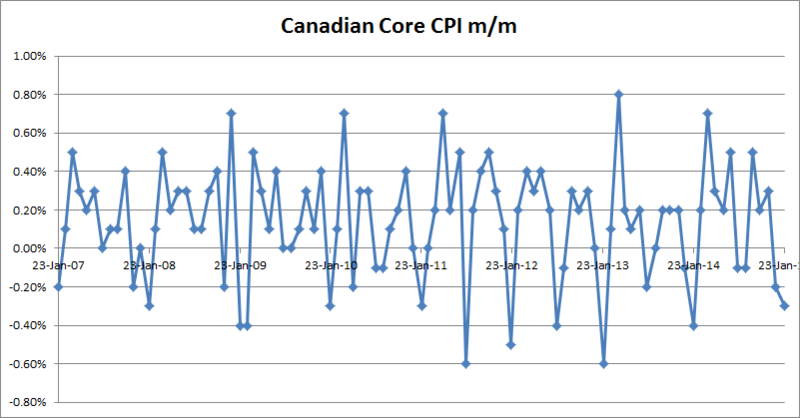 The Core CPI – excluding the eight most volatile items – came in line at -0.3%. The news from the retail sector was somewhat better. The Retail Sales was +0.4% versus the forecast of +0.1% and 0.0% last month. 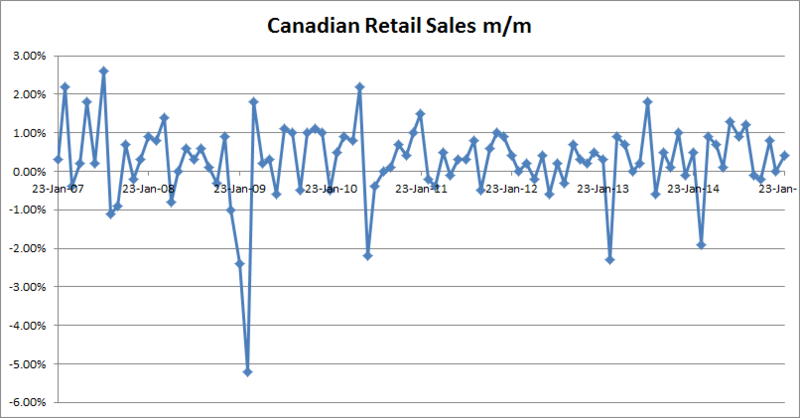 The Core Retail Sales m/m -excluding automobiles – came at +0.7% versus the expectations of +0.5% and last month’s 0.1%. January 23, 2015 in Market Diary.